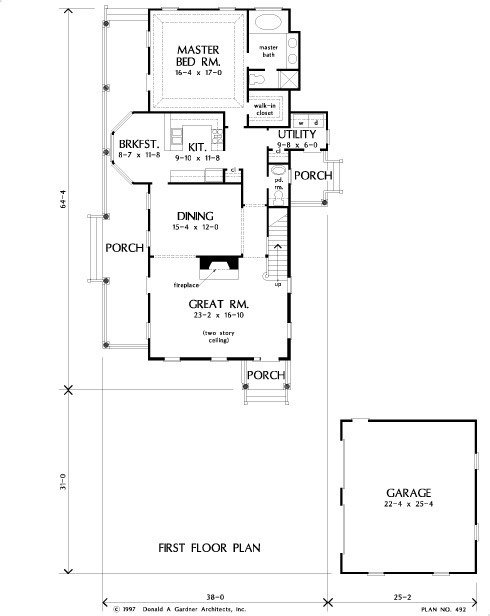 A graceful home with Old South charm, The Savannah offers a sleek design for narrow lots or any lot. Enter to an impressive two-story great room with fireplace followed by a spacious dining room. The U-shaped kitchen is designed for efficiency and serves both dining room and breakfast bay equally well. 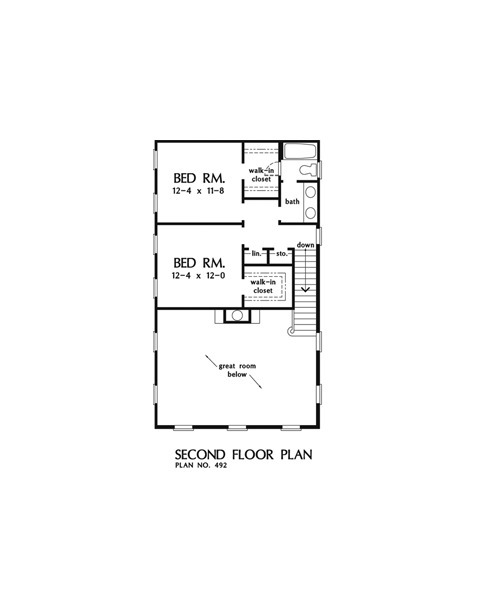 The first-floor master suite is privately located and has an elegant tray ceiling, walk-in closet, and private bath. Two more bedrooms (each with a walk-in closet), a roomy full bath, and storage and linen space are located on the second floor. 1st Floor: 1545 Sq. Ft.
House Dimensions: 38' 0" x 64' 4"
Great Room: 23' 2" x 16' 10"
Great Room (2 Story): 23' 2" x 16' 10" x 19' 0"
Kitchen : 9' 10" x 11' 8" x 9' 0"
Breakfast Room : 8' 7" x 11' 8" x 9' 0"
Utility Room : 9' 8" x 6' 0" x 9' 0"
Garage : 22' 4" x 25' 4" x 0' 0"
Master Bedroom (Tray): 16' 4" x 17' 0" x 10' 5"
Bedroom #3 : 12' 4" x 12' 0" x 9' 0"
Porch - Front : 8' 2" x 5' 0" x 0' 0"
Porch - Left : 7' 8" x 55' 4" x 0' 0"
Porch - Right : 6' 4" x 9' 4" x 0' 0"